Shipping the kids off to camp is a time-tested and practically essential part of summer vacation. But what if you could send the kids to camp without actually sending them anywhere? Welcome to online camps, a trend in summer programs that’s growing every year. Covering topics ranging from maker to Minecraft, online camps promise an experience that might be — surprise! — as fun and informative as an in-person camp. Even better: None of these offerings will break your camp budget. Most are free or relatively low cost. Does the whole concept of online camps sound like a contradiction in terms? Here are the basics: Online camps are Internet-based summer programs and courses for kids ages 6 and older. Although the topics covered vary, online camps are typically structured to help kids complete and share themed projects and activities designed by experts and enthusiastic counselors. To participate, all a kid typically needs is a screen with an Internet connection and the materials for the day’s activities. If the last thing you want for your kid this summer is more screen time, take note: An online summer camp doesn’t necessarily mean your kids will be bathing in the glow of a computer screen all day rather than the precious Seattle sunshine. A typical camp day may include viewing a short video showcasing a new project or activity in the morning; campers are then on their own to finish it. 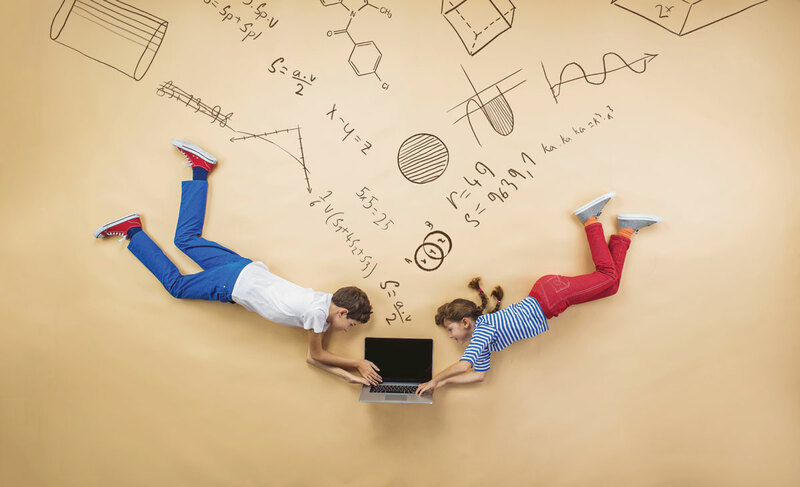 At some point, kids may gather online again to share projects and get feedback. At camps such as Maker Camp or Mission: Explore, the projects typically leave plenty of time for kids to play outside. Additionally, some online camps will even spur your kid to get creatively wild in the outdoors or to make new friends with similar interests. There are downsides, of course. As you’d expect, online camps don’t include child care, and parents may need to oversee and assist if kids aren’t old enough or independent enough to work on their own. But as a break from in-person camp, or as a structured program for kids who stay home in the summer, online camp is an intriguing solution. Minecraft-themed camps for kids ages 9–14. June–August, one week. $100–$200. A variety of themed courses (DIY.org programs are now called courses, not camps) offered through an iOS app for ages 6–14. Year-round, four weeks per course. Membership and subscription fees required (starting at $15/month). Technology and engineering camp activities for kids ages 12–18. July–August, six-week sessions. Free. Outdoor “missions” and challenges, for ages 7 and older. Ongoing. Free. Another benefit of online camp is its flexibility: Families can vary daily camp time according to their schedule without missing a beat. The flexibility of an online camp appealed to Tisha Valverde-Westwood, a mom from Lake Tapps, Wash., who signed her 11-year-old son up for DIY's witches and wizards camp last summer. Each day the DIY staff assigned a magic-themed activity or craft through the DIY iOS app, and campers were encouraged to complete and share the completed project in their in-app portfolio. Valverde-Westwood’s son loved not only the creative crafts the DIY camp guided him through, but also his interactions with the online counselors and other campers. Maker Camp encourages kids to explore, make and share handmade projects and one-of-a-kind crafts, and the number of participants has increased every year. Kids can participate as much as they want, from spending just a few minutes to hours on their creations. Two camp counselors guide campers through a series of quick video tutorials to craft a variety of DIY projects, such as upcycled cardboard creations or unique musical instruments. And Maker Camp isn’t limited to the computer screen. Several local maker spaces, such as Seattle ReCreative in Greenwood, SoDo MakerSpace in south Seattle and Botzify Labs in Sammamish, offer Maker Camp–affiliated programs. In 2015, Botzify Labs’ Maker Camp for Girls invited campers to meet in person to learn about electronic circuits, robot design and other topics. Seattle ReCreative Maker Camps took the kids outside to build kites and bug boxes, explore and play. These programs supplement the benefits of online camp with the social interaction and learning opportunities provided by traditional summer camps. As one might expect, another focus of online camps is video gaming. Connected Camps is an example. Offered at a price that’s much lower than most similarly themed in-person camps in the Seattle area, Connected Camps lets kids learn from virtual counselors about coding, game design, and circuits and logic, all with a Minecraft theme. More surprisingly, there’s even an online camp with an outdoor theme: Mission:Explore gives kids a push to go outside by offering challenges that will get them happily messy. Tasks range from dancing to the rhythms of nature to making a bug hotel, along with more imaginative ideas that turn an ordinary day at the park into memorable time. Online camp might not be the traditional way to spend the happy weeks of summer vacation, but the flexibility and budget savings are undeniable advantages for parents who work at home or for older kids who prefer self-directed activities. Valverde-Westwood’s 11-year-old is already looking forward to his next online camp experience.